loved it, but loved it more when I read the book myself. I really liked this book. I was enthralled from beginning to end. Some of the plot was weird at times, but it was interesting. There were times that I was verbally aghast. Good read! I just could not get into this book. Wow - boring! Skip it. Great book..solid plot and conclusive ending....Koontz could have/should have left the small sci fi / alien twist out of it...distracted from primary plot...only reason I didn't give it a 5. The problem with Dean Koontz novels is that they are so hit or miss when it comes to writing style and holding interest, not to mention character development. This book was a total miss. Overall it followed the usual Koontz formula of disgusting description designed to make you dislike a character although there's no real basis, repetitive epiphany (often shared) that there is a god, horrific creature(s) created by man and therefore doomed, and characters with disabilities that make them better than anyone else in the book, thus angels. Unfortunately, there was no redeeming, interesting character to pull you in, the gory descriptions were over the top, and the verbal exposition was heavy-handed to the point of parody. I kept going to find out the WHY of it all and was fairly disappointed. 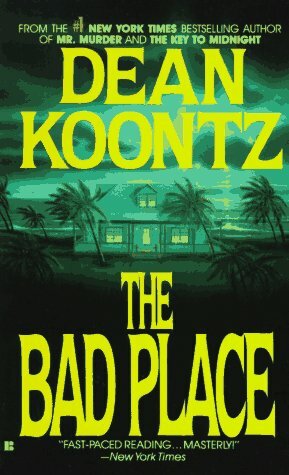 There are much better written Koontz books to try, give this one a skip. This is a very interesting book, typical Dean Koontz, He is a lot like Stephen King, keep you amazed at the things he comes up with. This book gives you a whole new outlook on Downs Syndrome; at least it did for me. This was my first introduction to Koontz, an alumni of where I teach. I found him a bit too intense for me. The book keeps you wanting more. Keeps you trying to figure out which way it is going. Excellent from start to finish. Loved it. This book was a bit over the top with the sexual weirdness as well as other very bizarre characters. Could have done with fewer gross and disgusting graphics. I kept listening because I eventually came to like the two main characters; at first I found them to be a bit "out there" too and quite different from most fictional characters with whom I can identify. It kept my interest but I've heard much better. I REALLY LOVED THIS STORY. IT HAD EVERY THING IN IT. YOU CAN TELL THAT IS WAS WRITTEN IN THE 90'S BECAUSE NOBODY HAD A CELL PHONE WHEN THEY NEEDED IT, HAHA, BUT I REALLY LOVED IT.